Sony announced yesterday that the PlayStation 4 has now passed 70 million lifetime sales, along with almost 618 million games sold. 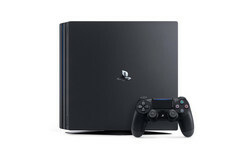 Based on total lifetime sales, Sony’s PlayStation 4 has been the dominant TV console of this generation. Now it has passed a new milestone in the pre-Christmas period and reached over 70 million units of PlayStation 4 and PlayStation 4 Pro sold. The exact figure announced yesterday was a total of 70.6 million consoles, along with an impressive 617.8 million games, 2 million VR headsets, and 12.2 million VR games. This results in an average of just under nine titles per console sold, and six VR titles per headset sold. The latest sales figure released by Microsoft for the Xbox One was 26 million units back in January, which was roughly half the sales of the PlayStation 4 at that time and was also comparatively low compared to the last generation Xbox 360. Microsoft prefers to report the active users of Xbox Live (Xbox One, Xbox 360, and PC) which sits around the 53 million mark. Based on a leaked infographic showing 36.2 million Xbox One sales by June, we would hesitate a guess for the Xbox one to be around 45 - 50 million units now. It will be interesting to see how Sony’s sales go over the holiday period, and whether the more powerful Xbox One X impacts sales of the PlayStation 4 and PlayStation 4 Pro.